British Formula One racing team Lotus are confident about their win at the upcoming Chinese Grand Prix and determined that they will score points very soon. The team struggled during the last season of F1 2014, finishing 8th in the Constructor’s Championship compared to the 4th place they achieved in 2013. “At the top of the [wish] list is, of course, points. We have the pace so we just need to be there in the correct position when the chequered flag falls,” deputy team Principal Federico Gastaldi said. There were also some changes in the team staff as Eric Boulliers, team principal was replaced by Gerard Lopez. On 5 July, 2014 Lotus announced that they would be switching to Mercedes engines from the 2015 season, ending the long 20 years relationship with Renault. 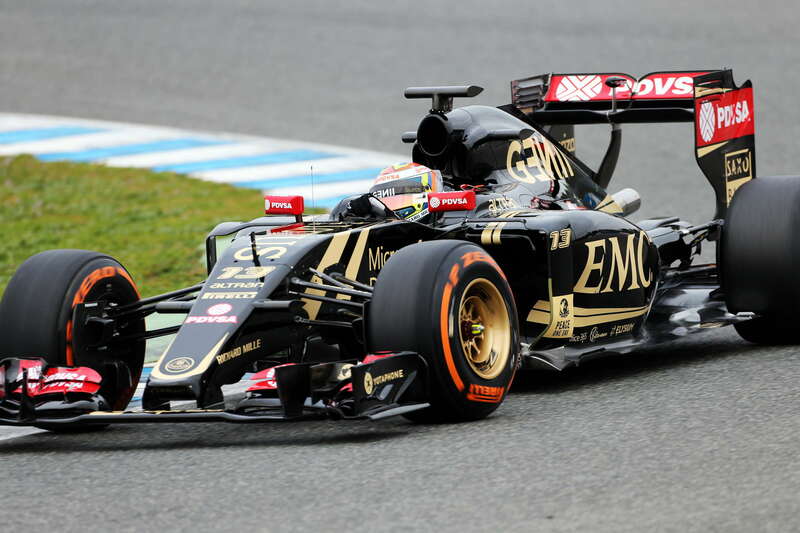 The team drivers Romain Grosjean and Pastor Maldonado both retired at the F1 2015 season Australian Grand Prix. As Grosjean who finished 11th in Malaysia after being tagged by Sergio Perez from Force India while Maldonado was involved in an incident at Sepang and later retired with a brake issue. “Both Pastor and Romain are operating at the top of their games so it’s just a question of having a race without any issues or contact from other cars. We’ve had a couple of reliability issues which we’re addressing so we expect to be out there and scoring very soon,” Federico said. “We had a couple of small reliability issues but the team’s working very hard on this, and we expect to have these resolved by China,” Maldonado said. “I’m looking forward to getting out in action in Shanghai and hoping for a clean weekend when we should be able to get some points. I think we should be in a similar position to that we’ve been in for the first and second race, so fighting for the top ten in qualifying and then in the race”.